His Mum was Mary Ann Fothergill. His Dad was Robert Watson. They called their baby Fothergill Watson but in a fit of proto-feminism(?) he swapped things round; renaming himself Watson Fothergill in 1892. What's the psychology of that then? Dad had died in 1853 when young FW was 12. He started his professional practice in 1862, aged 21. And then - aged 51 - he changes his name. Odd. I suppose there were no flash cars with which to express a mid life crisis in Victorian England. Fothergill married into beer - Anne Hage his wife was daughter of one of the three founders of Mansfield Brewery. They marry in 1867 and have seven children. The boys die young and childless; making his decision to adopt his Mum's family name sadly ineffectual. Anne dies in 1922 - a 55 year marriage. Fothergill is buried in Castle Rock cemetery - an odd little monument that I've walked past and not noticed. When I'm next there, I'll check to see if the wife and kids are in nearby plots. Fothergill's architecture is impressive, if you like the Victorian gothic look. 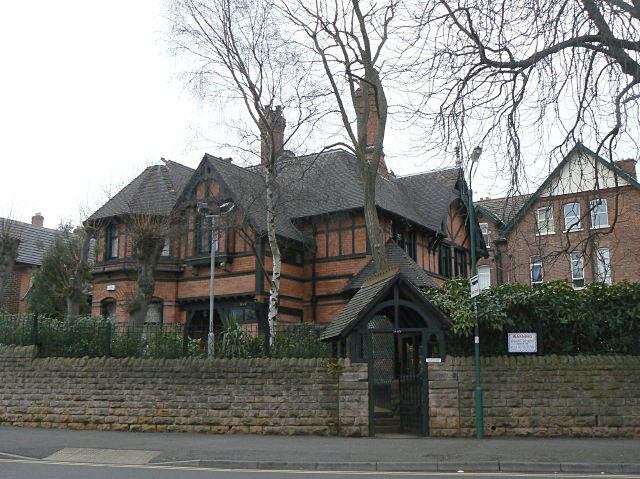 Over 100 distinctive Fothergill buildings in the city and a few in the county. Sadly, Nottingham's redevelopment in the 1970s was thoughtlessly disrespectful and many buildings were destroyed in favour of crappy modernist blocks that don't stand the test of time What remains, though, is prestige. Where did I get my information from? Why, the Watson Fothergill society, of course. And then, after I'd written the above, I found this Left Lion article and discovered I'm not the first person to make the mid life crisis crack. Oh well. Which of us is truly original?